Turn your fitness equipment into a state-of-the-art virtual reality experience. Web Racing brings a new level of motivatinal experience along with both real and virtual competition to every piece of cardio equipment. 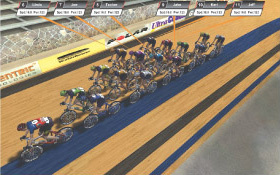 Use Web Racing systems to dramatically increase client motivation,inspiration and retention. Create an incredible workout experience using existing biking equipment. Simultaneously race up to 20 people with the entire class grouped together on a single screen. 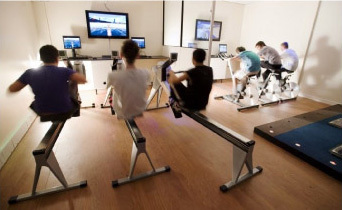 Work out beside one partener or up to twelve, race head-to-head against them on existing exsercise equipment.